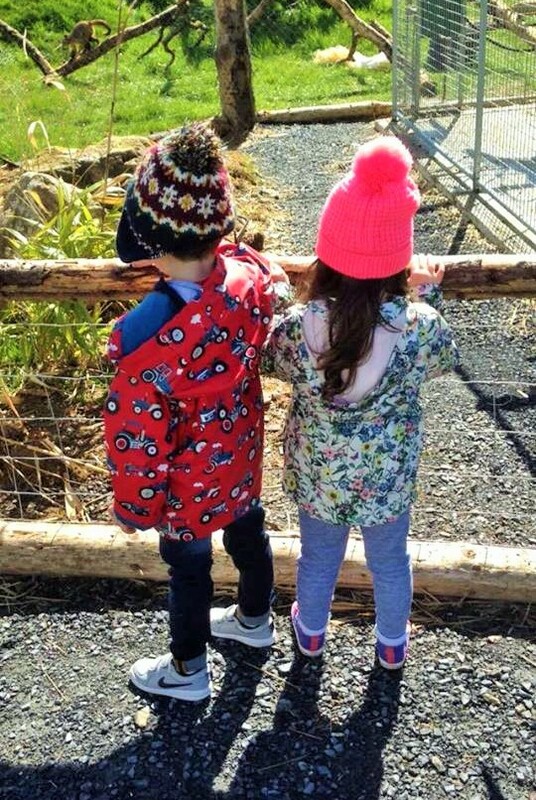 Recently we spent the afternoon at Secret Valley Wildlife Park in Clonroche Co. Wexford. Olivia is a pure animal lover so we thought it would be a great idea to bring her back and let her indulge in what she loves most. It was our second time visiting here but this time we experienced the park very differently. 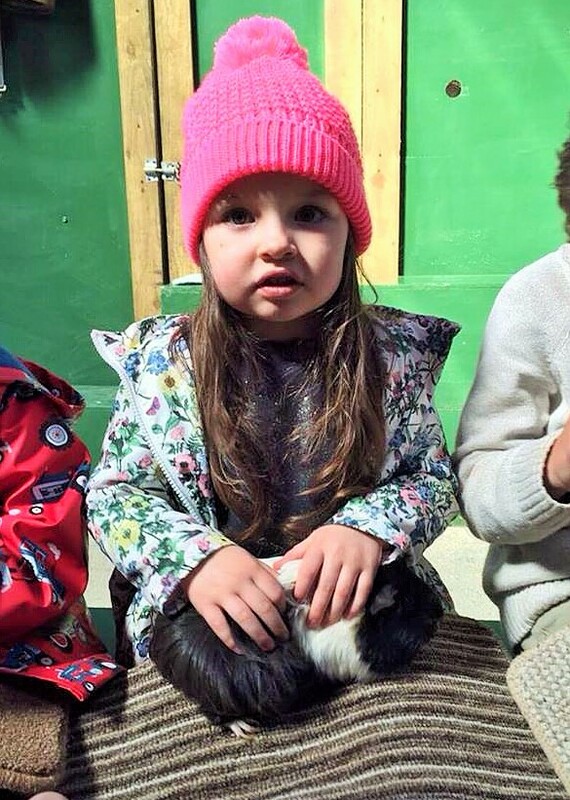 Olivia is that bit older now and was far more interested in the animals and exploring the farm completely. Mind you, the weather was a lot nicer too, so it was easier to explore the place without feeling uncomfortably cold. I vaguely remember not being dressed for the cold windy day the last time we were here, so that put a stop to certain activities. This time was different though, I came prepared with wellies, wooly hats and sunglasses. Yes, sunglasses. It’s the Irish weather we’re dealing with you know! Suffice it to say we were prepared for our walk around the park no matter what kind of weather was in store. I don’t know if I’m right when I say this, but we’re utter townies, my family and me. We live in a little two bedroomed house just off a quiet street in the middle of New Ross. There’s a large tree out the back and we have a small garden, but we’re not very close to nature at all. We enjoy the birds that fly down to grab some food we leave hanging for them, but I can’t say we’re at one with nature. 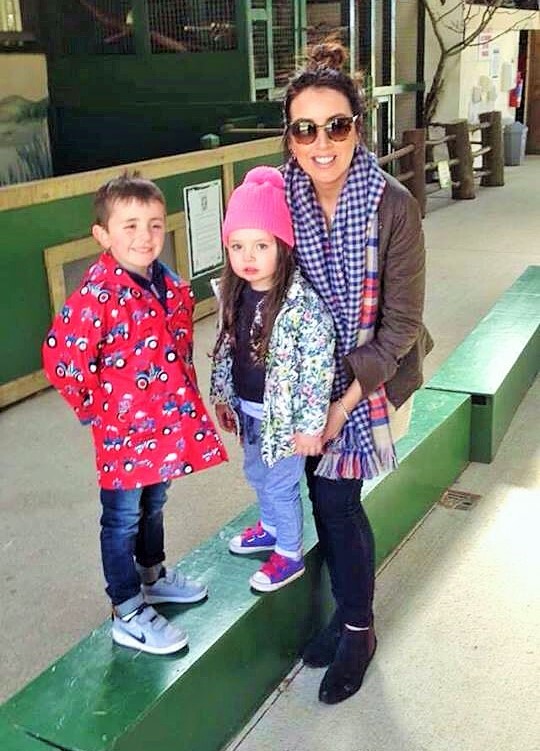 So for Olivia to come to a place like this wildlife park just a few miles from our house is an ideal trip for her. Animals that some country kids may take for granted like horses, goats, dare I say a cow?! even a rabbit are a bit unusual to us. I mean we don’t see them everyday so it’s a pure novelty to get up close and personal with some of them at parks like these. We brought Olivia’s cousin Olly with us too, they get on like a house on fire and bounce off each other with their witty talk and funny comments. I imagine writing stories of their shenanigans one day. Olly & Olivia has a ring to it don’t you think?! Once we passed through the gate of Secret Valley Wildlife Park the adventure instantly began. 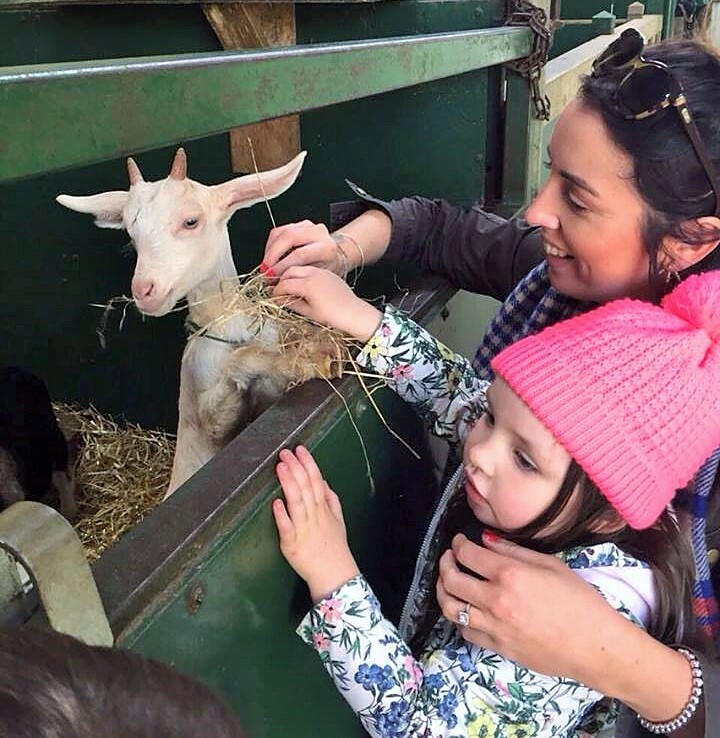 Large fields are home to the likes of The Corsac Fox, Shetland Ponies & Pygmy Goats. Further up the lane they have a large enclosure with Capuchin Monkey’s. These weren’t here the last day we visited and they are so interesting to watch. I think all species of monkey have a cheeky personality and these guy’s most certainly do too. One of the keepers told us they are quite dangerous even though they’re not very big. The keepers themselves have very little interaction with them, they just let them do their own thing (unless they need to intervene) and the likes of us, curiously watch them from afar. 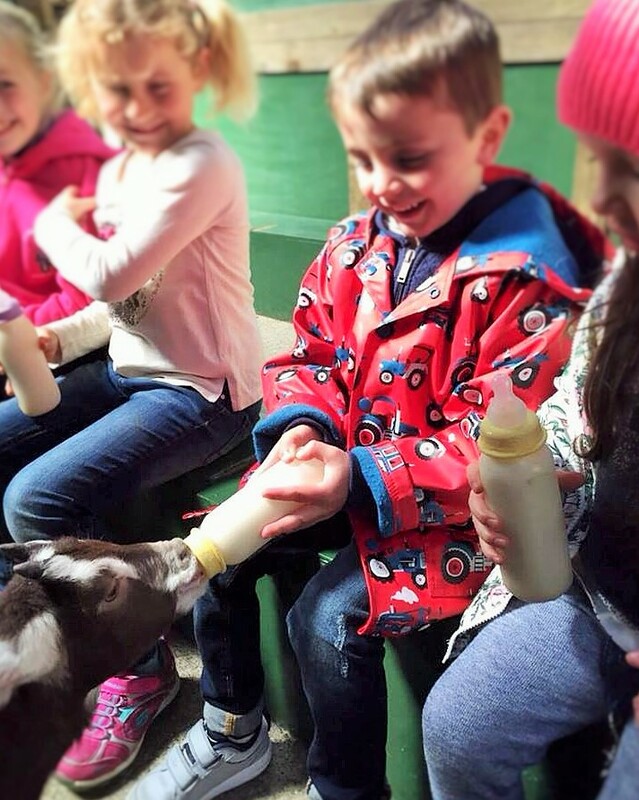 Secret Valley Wildlife Park is a busy place, a hive of activity once you reach the main building. 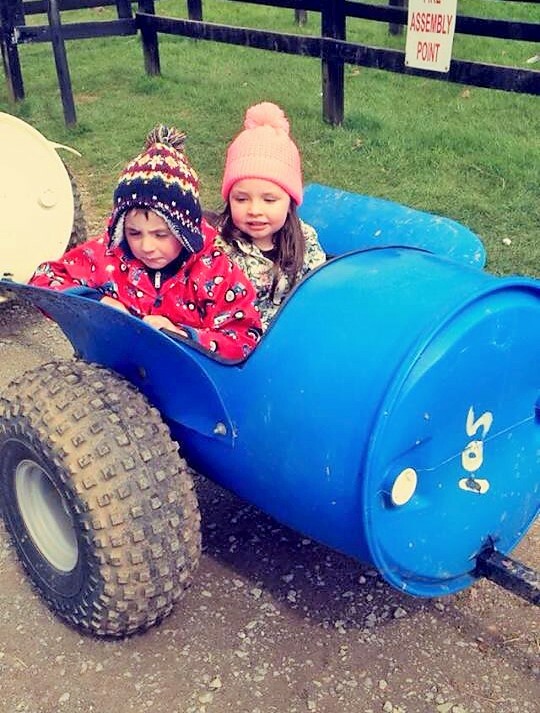 Olly and Olivia immediately agreed to a ride around the park on the back of a quad bike (in a cleverly built man-made carriage). Off they went grinning from ear to ear and Olivia’s dad and I stood there watching her fluorescent hat ride off in the distance. I did wonder was it a wise decision letting them off in the carriage alone, but of course himself reassured me that they’d be fine! They were gone not much longer than five minutes. Their windswept smiling faces were just priceless when they arrived back to us. We then walked up to the large shed that houses Raccoons, Meerkats, Prairie dogs, Baby Goats, a Turtle and lots of various creepy crawlies that I wasn’t too keen on looking at to be honest. In this shed we also got to feed the baby goats and handle some small animals. I surprised myself and fell in love with a Dumbo Rat. A RAT. 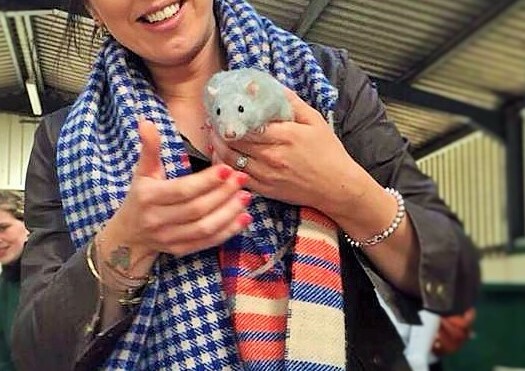 Dumbo Rats aren’t like your average sewer rat though, they’re bred purely as pets and (apparently) love being cuddled. They’re not a ghoulish dark colour that you would normally associate with rats, they’re a lovely shade of light grey with a little pink nose. Can you tell I liked them? 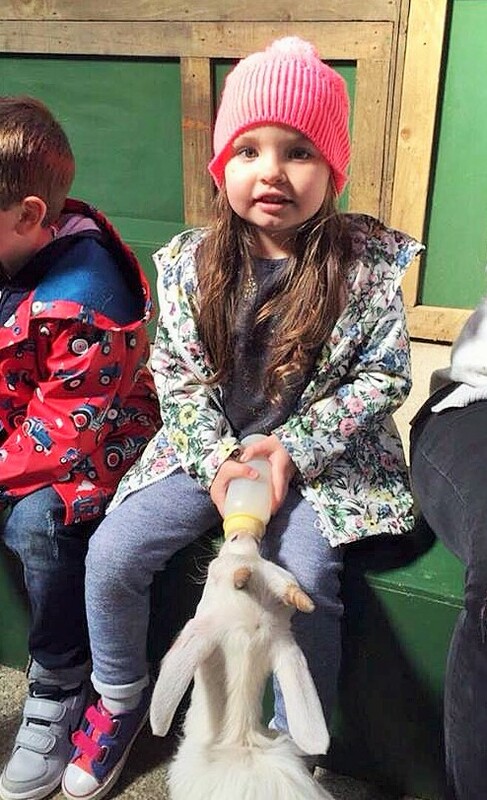 Olly and Olivia absolutely loved handling the animals. 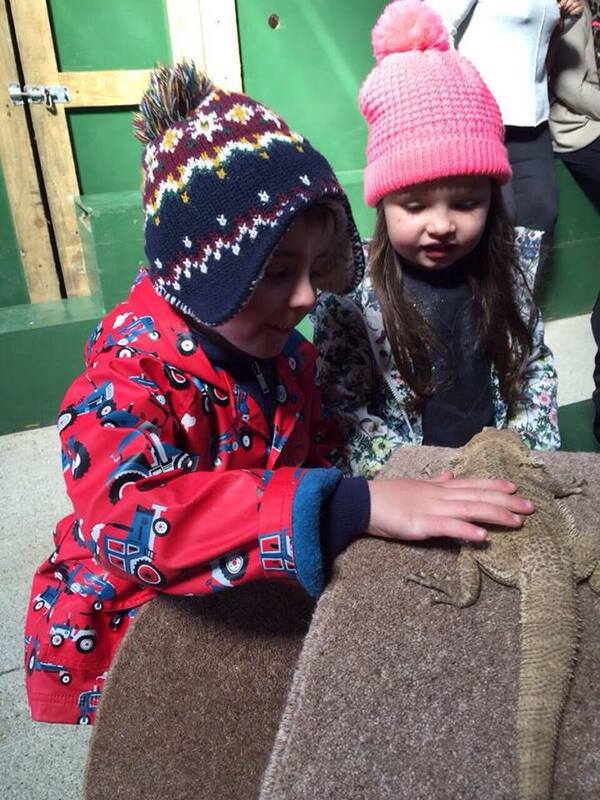 They even got to rub a bearded dragon! I didn’t think Olivia would touch him but she did, because she’s a curious little thing. There’s plenty of other activities to do outside of the large shed too. A Pony ride on Snowball the pony was the ultimate goal for Olivia. It was her first time on a horse and she enjoyed every minute of it. Even the heavens opened with hail stones during her ride but she still kept smiling, as you do. 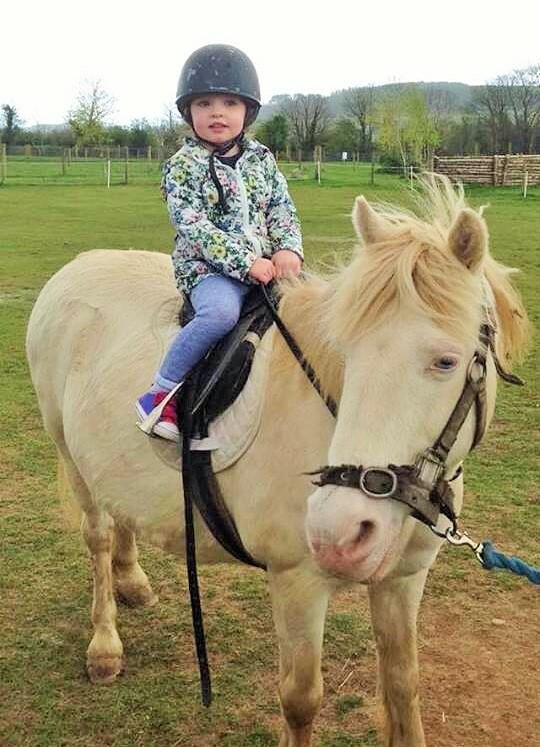 And the fun doesn’t stop at pony rides! There’s plenty to do in hidden areas of the park. We strolled down to the wooden playground and on our way we came across Llamas and donkeys snuggled up in their sheds. We fed them straw and much to Olivia’s delight they took it from her hand quite easily. To say we enjoyed ourselves is an understatement, it’s not possible for a child to be bored or disappointed with what’s on offer here. There’s something to interest all ages (maybe not babies though) but you can be of any age to look and admire some beautiful creatures here. I know we did and we’ll most definitely be back again and again.